Adam Lambert Kiss Concert 2010…More Cowbell!! 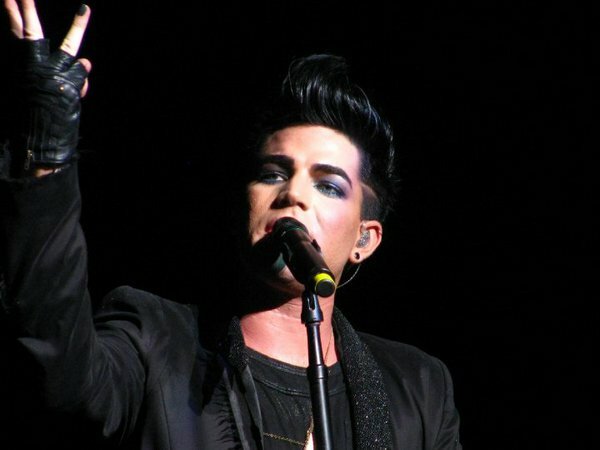 If you are interested in attending our FOXWOODS GLAMFEST, please go to https://adamlambertglamfans.wordpress.com/foxwoods-glamfest/ for information about the event. Darn, missed the meet and greet!! Oh well, I’m still holding out hope that I will meet him some day!! Now, for my recap of the concert. Adam was scheduled to perform at around 8:00 in the evening. My friend and I decided to hang out near the back stage entrance for a while when we got there, hoping to catch a glimpse of Adam or the band. Seventeen other “artists” were performing, and at that point, some came out, signed autographs and got their pictures taken with fans. While we shared a $14 frozen margarita (yuck! ), Billy Costa walked by us several times. 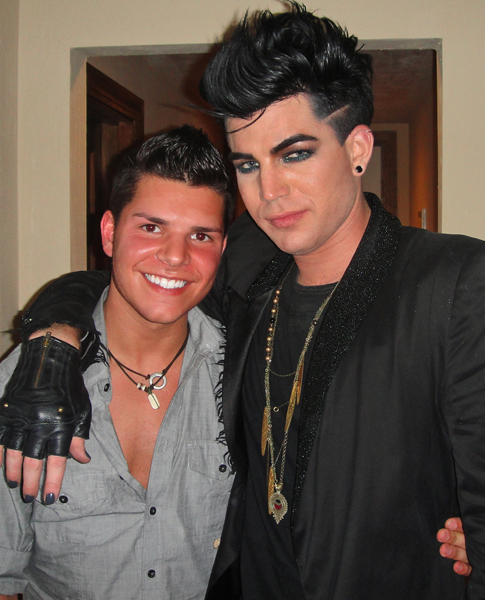 Little did we know he would interview our Glam God later that evening (so close, yet so far!)! At one point there was a rumor that Adam would go on early, so my friend and I made our way up to “The Lawn” wayyy back in the rear of the venue. Once up there (and I mean up!! ), we secured our spot on a blanket. We ate our greasy, $9 hot dogs and endured the five bands scheduled before Adam (turns out the rumor was just that). My friend and I, surrounded mostly by young kids (low to mid teens on average) and their long-suffering parents, were squished like cattle on the back lawn littered with, well, lots of litter. The youngins’ really seemed to be into the rap group and/or the Disney “star”. I wasn’t sure if they were quite prepared to get blown away by Adam’s charisma, stage presence and sheer talent! Boy, was I wrong!! Once Adam (finally) hit the stage, the audience (and I’m talking everyone!) was on their feet and in the palm of his hands, screaming the words to “Whataya Want From Me” at the tops of their lungs!! Many of them knew the words to his other songs, too…the whole place finally came alive! Listen to the intro for Adam and the band in the first clip below- SO TRUE!! I’ve never seen anyone like him either, and enjoy the rest of the show!! Tons of backstage pics like the one above here: http://kiss108.com/cc-common/gallery/display.html?album_id=232510. I tried to take some of my own, but we were too far away and they didn’t come out very well. I need a telescopic lens if I ever sit that far away from our boy again!! Read some reviews about the show here: http://artsblog.projo.com/2010/05/kiss-concert-brings-a-full-plate-of.html and http://www.thesunchronicle.com/articles/2010/05/23/go/7432309.txt and http://www.bostonherald.com/entertainment/music/general/view.bg?articleid=1256643. 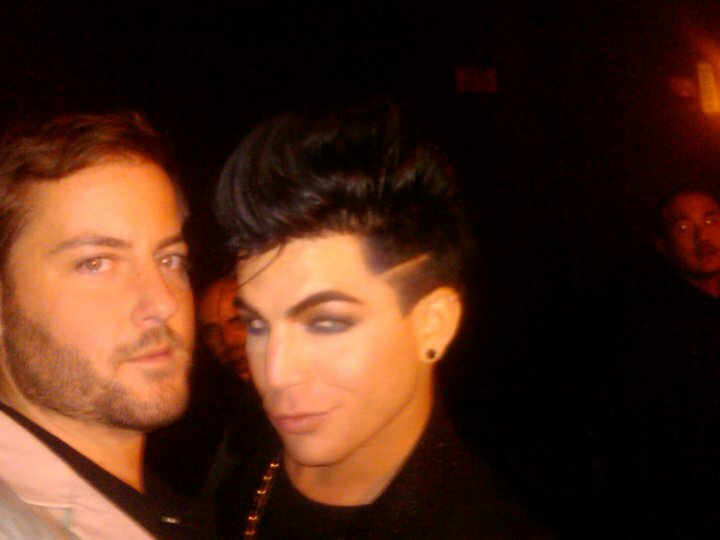 Looks like Adam was feelin’ no pain by that point! Well deserved, Adam…thanks for the great night at Kiss! You totally made that show, and my night!! 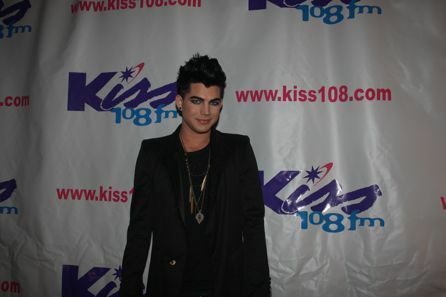 This entry was posted on May 23, 2010 at 7:59 pm and is filed under Adam Lambert with tags Adam Lambert, Kiss FM 2010 Concert. You can follow any responses to this entry through the RSS 2.0 feed. Both comments and pings are currently closed.